The King of the British ferns with superb crests and arching fronds, both of which have crested tips. Evergreen here in West Wales but semi-evergreen in colder areas. 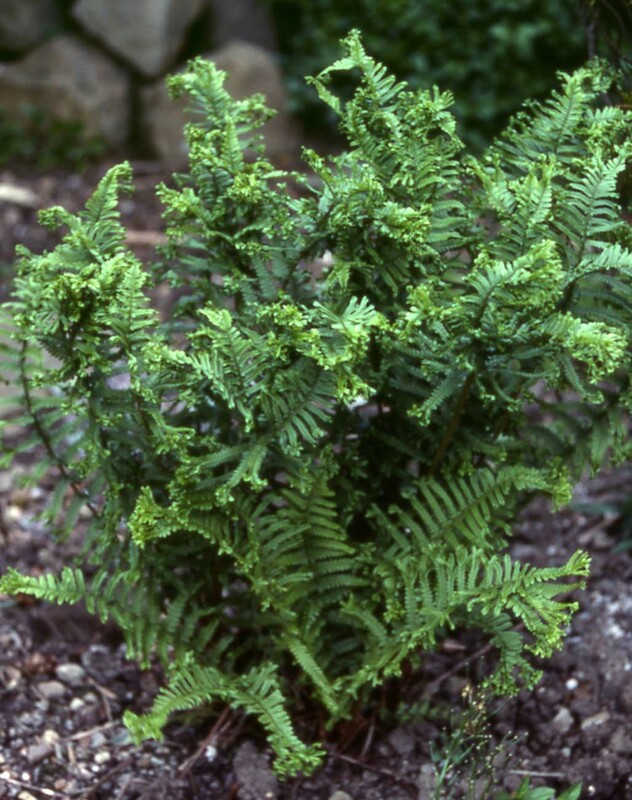 This is a hardy fern and looks particularly good in pots or north facing situations. Native and comes true from spores as all Dryopteris sub-species are apogamous. A bold plant to grace any shady part of your garden. Hardiness rating H5. Leave the collapsed fronds over the winter to protect the crown of the fern. Cut back hard in spring and that’s about it! Can be divided or collect and sow the spores. Easy, pest and disease resistant.